Is it time for more transparency of social media algorithms? Why it matters: Discourse over suppression of free speech on social media is under review by the Justice Department. Findings may spark ideas for new legislation to regulate social media firms to verify that freedom of speech is being upheld. Users of social media are now realizing that their personal information is widely available, but the latest concerns are now over whether all viewpoints are being fairly treated by platform owners. The Department of Justice has called a meeting for September 25 to help determine whether social media sites are "intentionally stifling the free exchange of ideas on their platforms." Ultimately, President Trump is responsible for this call to action against social media firms. Complaints about Twitter for shadow banning hundreds of thousands of users and alleging that conservative views are less visible has brought about a formal investigation. Social media companies are adamant that no such bias exists. 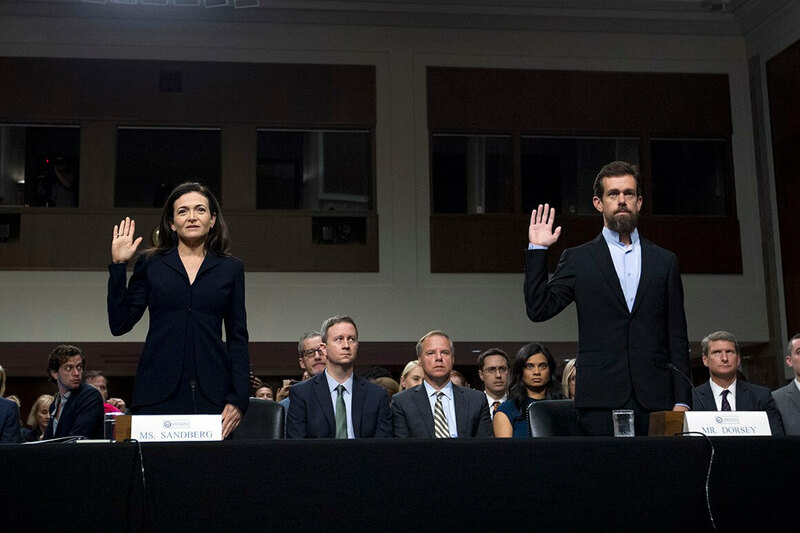 Twitter CEO Jack Dorsey recently testified before the House of Representatives Energy and Commerce Committee hearing on the issue of bias. Dorsey admitted that some algorithms did cause lower prominence of certain individuals, but that the mistake has been remedied. Hearings on Wednesday featured social media personalities that have been banned or suspended from social media platforms. Alex Jones and Laura Loomer were both in attendance, although Loomer was escorted out for shouting at Dorsey and refusing to stop interrupting discussions. Stock prices of Facebook and Twitter both dipped following the hearings. Investors may be fearful of new regulations being passed that would require greater transparency of how social media platforms operate. Even though there are partisan viewpoints casting shadows, American citizens of all political backgrounds mostly agree that social media sites are likely suppressing the free exchange of ideas. Survey results do not indicate whether a particular viewpoint is being hidden, only that respondents believed at least one ideology is less visible as a result of platform censorship.